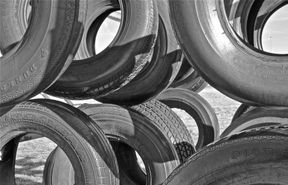 A3 8 Tyres are focused on providing quality New and Part worn Tyres with Free fitting and balancing on all tyres sold. We guarantee customer satisfaction by doing everything to meet your expectations, of a fuss free speedy service. We have 4 fitting machines and 4 fitters to get you Quickly on your way. You can also come in for free air anytime you need it during our opening times. But our part worn tyres are great value for money we understand that some people fear part worn tyres but one thing people forget that unless you purchase a new car you will be driving on part worn tyres but the advantage is we inspect and pressure test our tyres, plus part worn are normally a better quality brand costing 3 time more when new than a cheap budget, And we guarantee all our tyres, and promise you won't buy a tyre you don't need and you will get the best prices available locally! unlike the big boys we do not have a upselling policy or bonus scheme for our staff . We don't sell cheap tyres we sell tyres cheap! We have over 3000 Tyres in stock. We provide both new and part worn Pressure Tested Quality Car Van Trailer Motorhome & Caravan Tyres to suit every pocket. So before You purchase Tyres on the internet because they look cheap give us a call, we are often cheaper, when You factor in a fitting charge and the fact you have to dispose of you old tyres responsibly! have to buy a valve have them balanced so remember the price you get from us includes fitting balancing and disposal of your old tyres, we have the latest 3D wheel alignments system. plus we can also carry out servicing repairs and vehicle welding work we are also able to recover your vehicle to our garage if its not drivable. Please feel free to Phone or just come in. A38 tyres also offer an after hours service if required. We hope to see you soon! 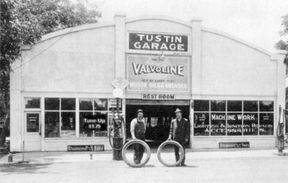 don't forget our free tyre safety check without obligation So if your not sure about your tyre tread, pressure or condition don't take the risk its a free service so just pop in we will be happy to help. Also if your not sure about the condition of your car or have a warning light on we are happy to advise. A38 Tyres are just 2.2 miles towards Highbridge from Bridgwater Dunball roundabout and 2 miles from Highbridge at West Huntspill 0n the main A38. We are MARSHAL & JINYU APPROVED DEALERS we also provide and fit all Top Brands of tyre including run flat winter snow & ice at great prices. PLEASE NOTE DESPITE WHAT OUR COMPETITORS SAY! WE DO NOT SUPPLY OR FIT RE TREAD OR REMOULD TYRES, Just a great service new & quality part worn tested tyres. A38 Tyres can provide Quality Car & Van Repairs including up to the date diagnostics. We can also arrange a loan car if we have one available. Our rates are very competitive offering repairs from brakes to cam belt replacement, vehicle welding and even clutch and gearbox replacements we can even tackle the jobs other garages don't want to do ! such as head gaskets and engine replacements, so if you need advice or a free Quote call us on 01278 794000 or just pop in. You can even contact us and send your vehicle unaccompanied if your breakdown service fail to fix it . We will give you a quote for the work and only proceed with your confirmation. From Just £7.50 on tyres not provided by us. and free for tyres we provide and fit including part worn tyres. 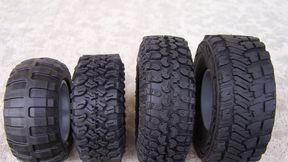 A38 Tyres.co.uk for quality budget and branded tyres at discount prices.